All values are mean±SD unless otherwise specified. Values are expressed as mean±SD or median (interquartile range). 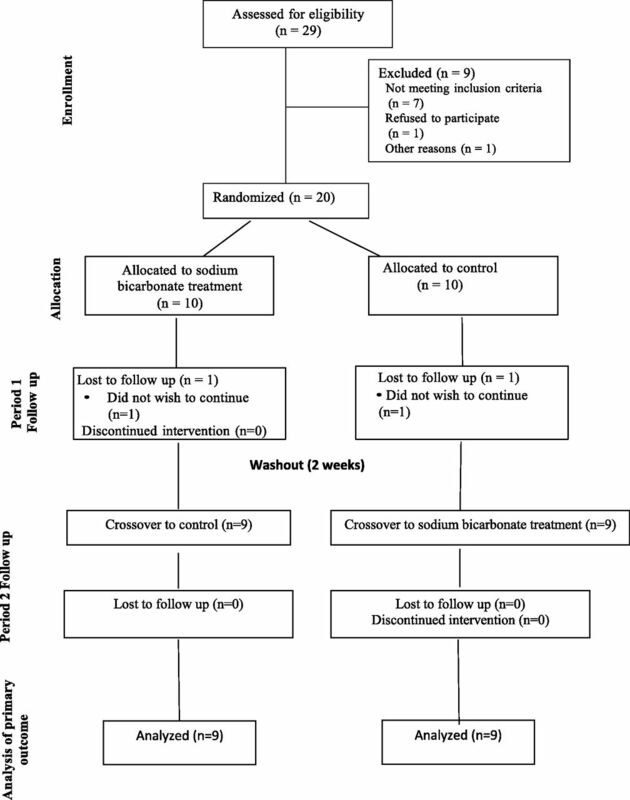 To examine whether treatment by sodium bicarbonate has effect on these secondary outcomes, a study with crossover design was conducted and a mixed effects model was employed in data analysis. The P values were from the mixed effects model in testing the null hypothesis that the treatment does not have effect on any of the secondary outcomes. 95% CI, 95% confidence interval; hs-CRP, high-sensitivity C-reactive protein; iFGF23, intact fibroblast growth factor 23. Values are expressed as mean change from baseline±SD. 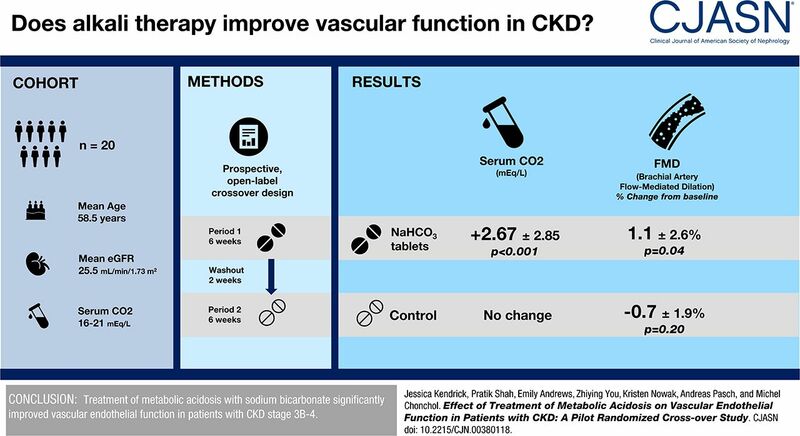 To examine whether treatment by sodium bicarbonate has effect on vascular function (i.e., results in change in FMD, systolic BP, and diastolic BP), a study with crossover design was conducted and a mixed effects model was employed in data analysis. The P values were from the mixed effects model in testing the null hypothesis that the treatment does not have effect on FMD, systolic BP, and diastolic BP, respectively. FMD, change in brachial artery flow-mediated dilation expressed in percent (%).